Whether you're after budget self storage space for your clutter or a sizable solution for your business stock - we have some of the cheapest storage prices in the entire Yorkshire area. As with all of our storage locations, our Carlton Storage facility benefits from state of the art, remotely monitored CCTV security providing you with peace of mind that your items are in good hands. 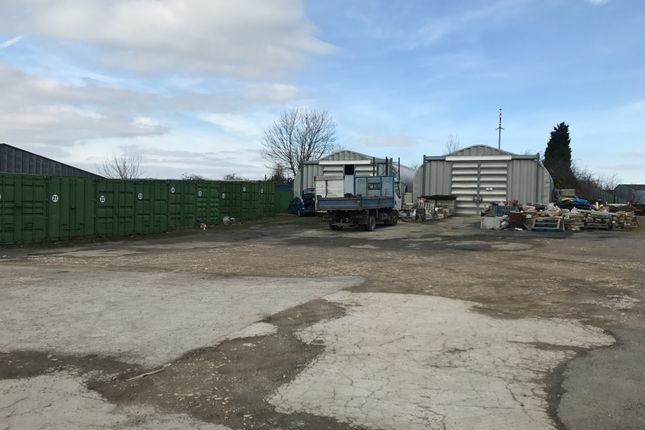 We also have self storage sites in Bradford, Leeds, Barnsley, Wath, Swinton/Mexborough and Wakefield, Sheffield with new sites opening across Yorkshire all the time. Please visit for commercial property or for self storage. Viewing is available upon request. Property descriptions and related information displayed on this page, with the exclusion of Running Costs data, are marketing materials provided by The Boylin Group, and do not constitute property particulars. Please contact The Boylin Group for full details and further information. The Running Costs data displayed on this page are provided by PrimeLocation to give an indication of potential running costs based on various data sources. PrimeLocation does not warrant or accept any responsibility for the accuracy or completeness of the property descriptions, related information or Running Costs data provided here.